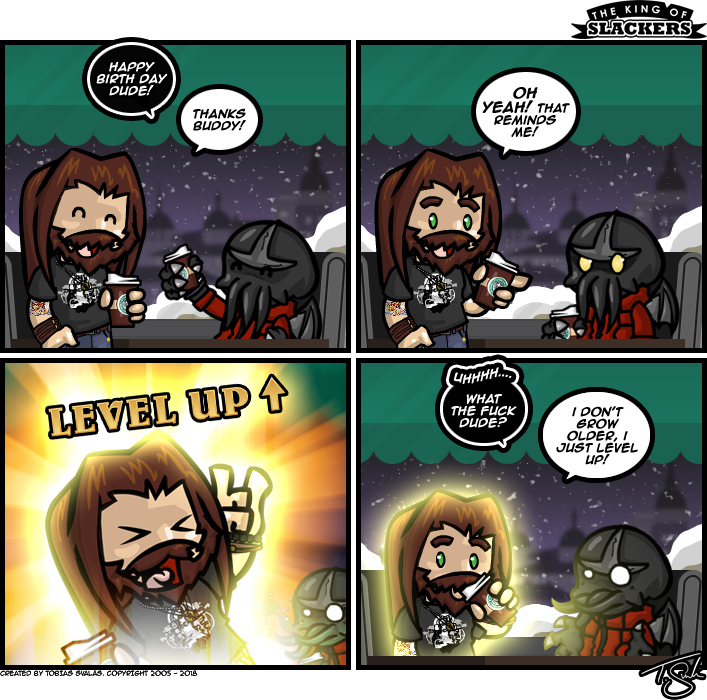 King of Slackers » Archive » Level Up! comic strips from the past. If you like my comics please support me. Stay awesome, slacker dudes and dudettes! You’ve gained +2 Dad Jokes, +2 joint pain, congratulations. Please support me via Patreon and keep me creating comics for your enjoyment! A loin-cloth made of bacon? No wonder the bear came in.